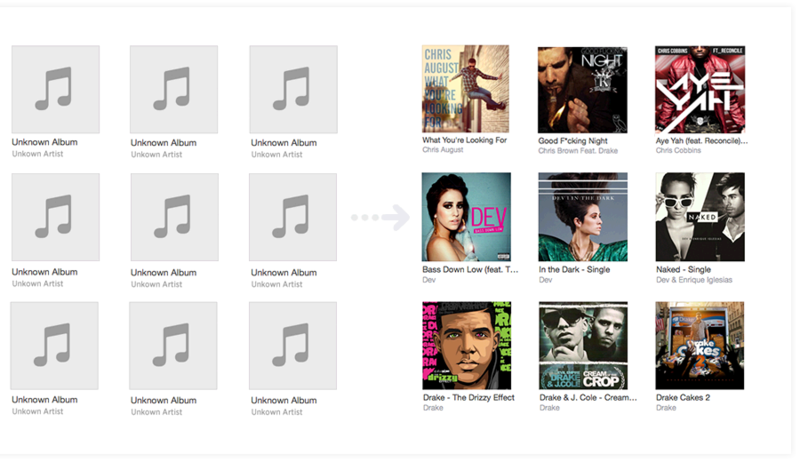 iMusic is an all-in-one music manager and music downloader. 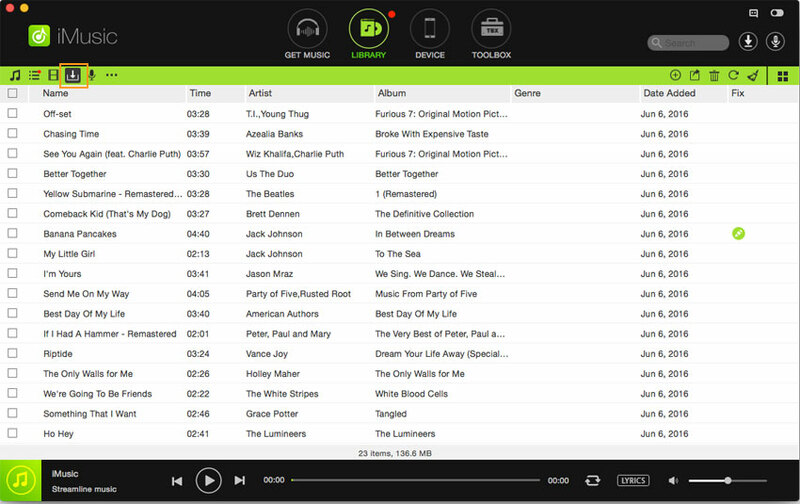 It helps you to download thousands of songs from Internet in a simple and fast way. It also able to transfer downloaded songs on your iPhone/iPad/iPod/Android phones and iTunes/Mac/PC. Thanks to iMusic you will have the full control on all music files of your iDevice (iPhone, iPad, iPod) and/or Android device (Samsung Galaxy, Galaxy Note, Huawei, Motorola, LG, HTC, etc…). 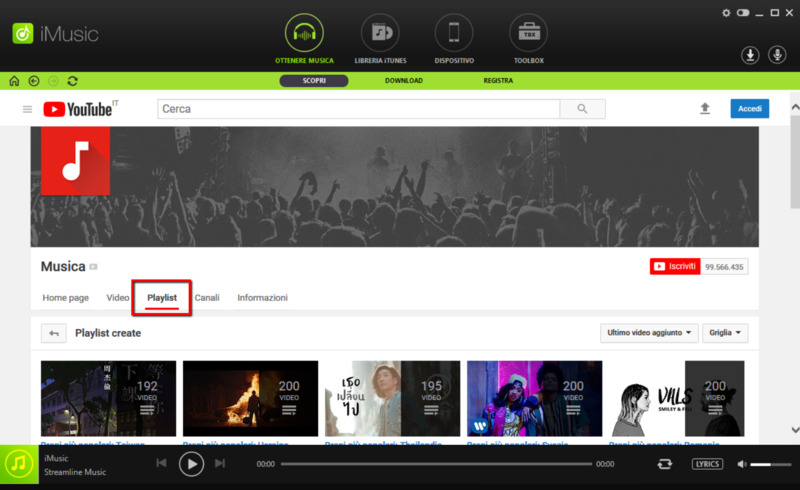 iMusic is able to download any loved songs from more than 3000 music sites, including YouTube, Spotify, Pandora, last.fm, Vimeo, Dailymotion, Facebook, VEVO, and more on your Mac/PC or smartphone/tablet iOS&Android. 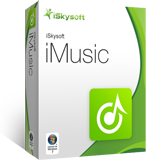 iSkysoft iMusic lets you transfer music, playlists, Podcasts, iTunes U, TV Shows, etc. between iPhone, iPad, iPod, and iTunes Library freely. There will be no device or computer authority limitations at all. iMusic helps you take control of your entertainment life even if you have an Android device. iMusic is the best iTunes Alternative for Android to sync music from iTunes Library to Samsung, LG, Motorola, Sony, ZTE, HUAWEI, Lenovo, etc. Android phones and add music/playlists from Android devices to iTunes Library for further management. 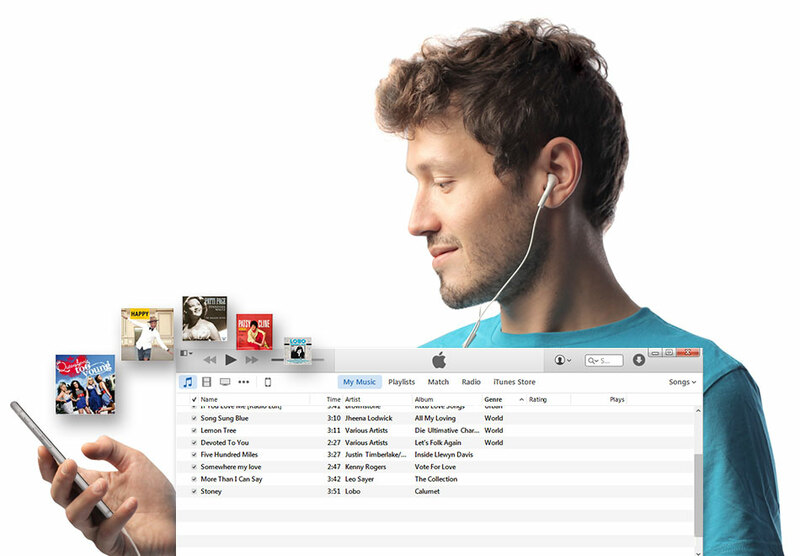 If you need to transfer iTunes Library to the new computer or restore iTunes Library with songs from iPhone, iPod, iPad, Android devices, or even external hard drives, iMusic is the best solution for it! Just connect your device with your computer and transfer the needed songs to iTunes Library.